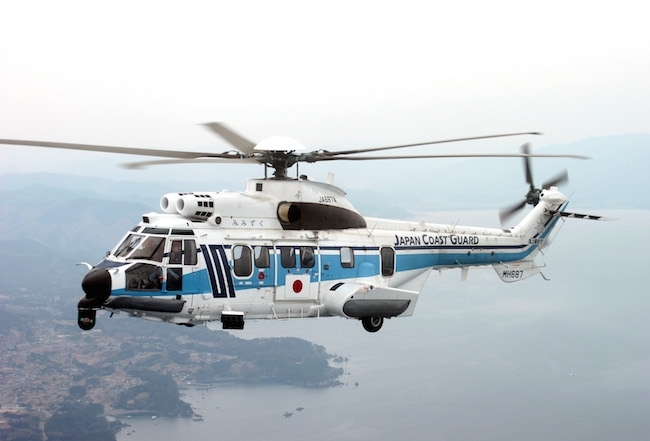 The new H225 will join the rest of the fleet in security enforcement, territorial coastal activities, as well as disaster relief missions in Japan. “We are honoured by the renewed H225 order from our customer of over 25 years, as it bears testament to the quality of our long-standing partnership and our customer’s full trust in Airbus’ products and support. We are also delighted to see how our Super Puma helicopters continue to perform excellently in all the missions. With its inherent versatility and reliability, we know the H225 will continue to be a capable workhorse for the JCG’s missions. The Airbus Helicopters team in Japan remains committed in our support to ensure continued availability of the fleet,” said Olivier Tillier, Managing Director of Airbus Helicopters in Japan. The 11-ton-category twin-turbine H225 is the latest member of Airbus Helicopters’ Super Puma family which accommodates up to 19 passengers. Equipped with state-of-the-art electronic instruments and the renowned 4-axis autopilot system, the H225 offers outstanding endurance and fast cruise speed, and can be fitted with various equipment to suit any role. In Japan alone, a total of 21 helicopters from the Super Puma family are currently flown by civil, parapublic operators and Japan’s Ministry of Defense for various search and rescue missions, offshore operations, VIP, fire-fighting, and passenger and goods transportation.